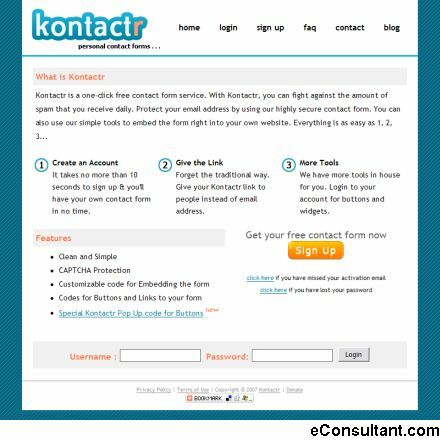 Description : Kontactr is a one-click free contact form service. With Kontactr, you can fight against the amount of spam that you receive daily. Protect your email address by using our highly secure contact form. You can also use Kontactr simple tools to embed the form right into your own website.